We wanted a snack to go with the hockey playoff game tonight. I will not bore you with who we are rooting for because it does not make us any less hungry for a good snack! 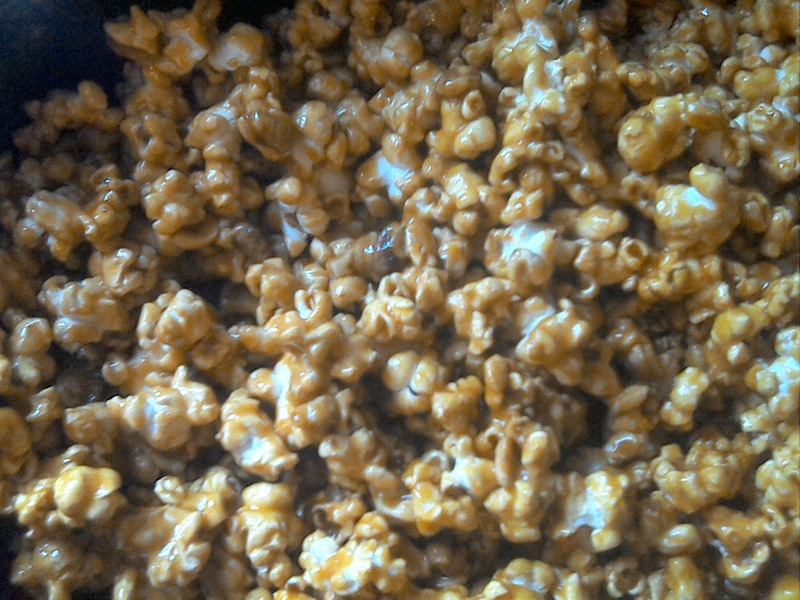 My husband suggested caramel popcorn. He found this good recipe for CrackerJack, which is just finishing up in my oven. It is already really hard to resist. It will go perfectly along with our shouts of "go team go!!!" 1. Place all ingredients in a large stainless steel or enamel saucepan. Bring to a boil over high heat, reduce and simmer, uncovered, for 30 minutes or until thickened. 2. 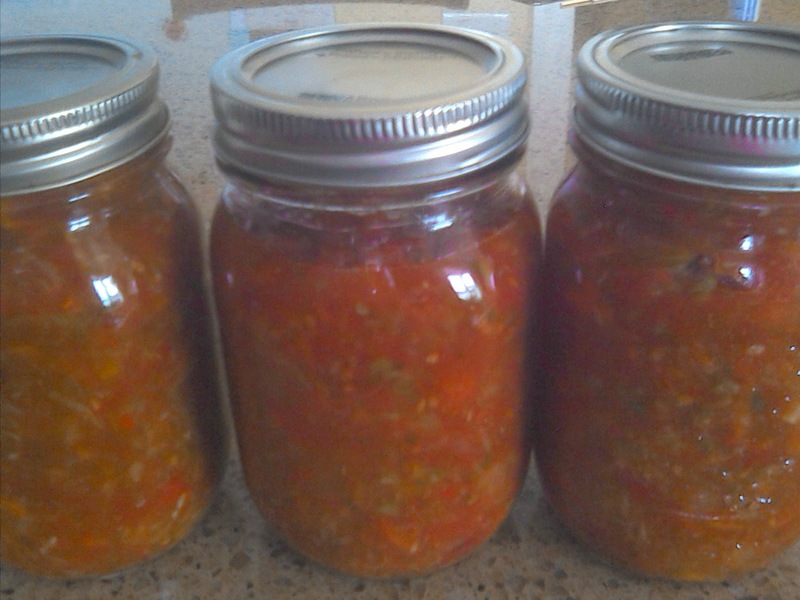 Remove hot jars from canner and ladle salsa into jars to within 1/2 inch (1 cm) of rim (head space). Process 20 minutes for half-pint (250 ml) and pint (500ml) jars. Makes 5 1/2 to 6 cups. Enjoy! Thanks to my friend, Carmen for requesting the recipe. It comes from the book Small-Batch Preserving by Topp & Howard. I can barely believe I made these! I do not like the band KISS. I would never listen to their music. But my daughter is a different story. She got her father's taste in music. Sigh. I gotta say though - I had fun with this birthday cake idea. She got several KISS albums for her birthday so they helped me with the designs. I copied the word "KISS" and designed the make-up for the cupcakes onto paper, using the albums. I cut out the paper patterns with a small scissors and then I cut them out of thinly rolled fondant with a small knife. I did not even try to make eyes as I can never do realistic eyes in any medium. The whole family LOVED the KISS figures and the cupcakes were delicious! These were chocolate cupcakes, covered in chocolate fudge icing. All the decorations are fondant. To make the 12 cupcakes, I divided the chocolate cake recipe in half and added 2 Tbsp. applesauce. What about chocolate to dip in the chocolate fondue, you ask? How about little chocolate cookies. Yum yum! I made these for our chocolate fondue night too. They were cute, but a little dry. I think it is because I used Dutch processed cocoa. Maybe I should use regular cocoa next time. Cream butter, brown sugar, egg and milk together in medium bowl. Add cocoa. Beat until well mixed. Add vanilla. Stir. Add flour, baking powder and salt. Mix. Drop by 1/2 tsp. onto greased baking sheet. Bake in 350 degree oven for about 10 minutes. The recipe says it makes 72 cookies but I only got 31 out of the recipe! For yesterday's fondue, I also made Ladyfingers. This recipe also came from Company's Coming fondues. It worked out great to spell a message for my daughter. Beat egg white in small bowl until soft peaks form. Gradually add first amount of sugar, while beating, until stiff. Beat egg yolk, second amount of sugar and vanilla in separate small bowl until light in color. Fold in egg white mixture. Gradually fold in flour. Spoon into piping bag. Pipe into strips or other shapes onto greased baking sheet. Bake in 350 degree oven for about 12 minutes. Cool. Makes about 54 cookies - or in my case, spelled out "HAPPY 13 BDAY KIMBERLY". These were light and fluffy and turned out to be a wonderful thing to dip in the chocolate fondue. We all enjoyed them. Cream butter, sugar and egg together in large bowl until smooth. Add milk and vanilla. Mix. Add flour, baking powder and salt. Mix well. Turn out onto lightly floured surface. Roll out to 1/4 inch thickness. Cut into shapes, using 1 to 1 1/2 inch cookie cutters. Arrange on ungreased baking sheet. Bake in 375 degree oven for 8 to 10 minutes until edges start to turn golden. The original recipe says this makes 4 dozen cookies. I made 8 dozen. These made nice vanilla sugar cookies! They were great dipped in chocolate! I found that they were a bit sticky to roll out so I rolled them out on wax paper and froze them a while before lifting them from the wax paper and placing them on the cookie sheet. That worked great!